Rohit Sindhwani interned at Gabriel India Ltd., Anand Group, shares how he got to apply his text book knowledge practically in an industry during his internship. 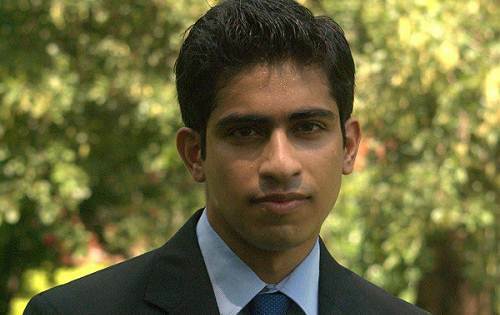 Rohit is an MBA student at IIT Kanpur. Here’s his internship story. With the advent of technology, management has become the major requirement for the employees of all organizations. The beginning, as is known to all, is the toughest phase to cross. Hence, we always dwell on the intricacies before we start something new. This, in short, is referred to as planning. The same was my condition as I stepped into the hallowed walls of Anand Group. I was allocated to the Parwanoo plant of Gabriel India Ltd, one of the nineteen subsidiaries of Anand Group on the fifth of May for next two months. My internship started with understanding the nuances of the business and the customers to whom the company sells its products. With the group spread all over India, and its tie-ups with foreign automobile majors, my task was never going to be easy. I was assigned to the particular training personnel in charge for the first two days. The first day, I saw a group of enthusiastic diploma holders (Operating Engineers to be exact), working vigorously on the shop floor making shock absorbers of various specifications. It was highly encouraging to see young girls working very hard on the operating lines. Having knowledgeable workers and working women on shop floor, has definitely been one of the major highlights of Anand Group. Within a week, I was assigned the project by our plant head, Mr. R. Vasudevan, which was ‘Application of Linear Programming in Inbound and Outbound Logistics’. Linear Programming was something that I had learnt well during my first semester MBA course of ‘Quantitative Methods of Decision Making,’ but clearly, here, there was a lot more uncertainty and conditions that were far more complex and hard to model. I was not just excited, but also happy to bring my knowledge to its ultimate goal of application. The time was ripe for me to start gathering information of all sorts, related to my project. Internet had never been handier to me than at this current juncture. I looked for all the research papers available on internet and also started discussing the problem with my colleagues at workplace. Then, I also contacted my IIT Kanpur Professors who had already done outstanding work in this field. I was very fortunate to get invaluable research papers on Warehouse Location from Professor R.R.K. Sharma. This research was highly elaborated in every aspect. As I slogged hard to get more out of my project, I realized the importance of the inputs provided to me by the employees of Anand Group. They provided me the necessary data on which my study was based and also gave me inputs that were necessary while looking at the practical vistas of business. I was able to provide all the restrictions and assumptions that were necessary towards building a robust model. Secondly, I realized there was a necessity of providing such solutions, so that the company could have significant cost savings. My proposed solution for vendor selection through an analytic hierarchy process was one of the main results of inputs provided to me by the supply chain executives. My next target was to establish multi-product vehicle routing plan through hub and spoke model and travelling salesman problem. This was my first breakthrough, as I was able to propose an optimal solution with cost reduction of nearly 140% of the original. With the results in front of me, I started an energetic approach to look for more avenues of cost savings. I realized that the company did not have a robust dispatch plan and there was a lot of manual operation that resulted in suboptimal results. As I was engrossed in how to apply my knowledge towards this work, I got an advice on similar lines by the plant head. It was something that could be perfectly applied and was eureka moment of sorts for me. For the next few days, I plunged into the realms of Microsoft Excel and with each iteration, I realized the aspiration becoming a part of reality. I could provide an optimal solution to the dispatch plan and this would result in annual cost savings of around twelve lakhs. The entire cost savings from all of my proposals would result in an annual cost savings of around thirty eight lakhs! Now was the phase of implementation. The complexity of the project was such that, by the time I could finish my earlier phases, I had already came to an end of my internship period of two months. I decided to stay back for a few days to implement the dispatch plan. It was one of the few phases of my internship when I was most anxious and also a little concerned. Luckily, these anxieties were short lived; as my proposed solution was successfully implemented by the company. It was an enriching experience for me at Anand Group and I would definitely recommend this company to the budding management graduates in future. To put the things in the words of my plant head, “It should be a win-win situation for you and the company.” I was lucky enough to have this feeling as my internship came to an end. Editor’s note- Have you got an internship story to share? A chance to win cool Internshala T and other cash prizes by sharing your internship story here.